DJ Life PIXELearning (United Kingdom), YENTELS (United Kingdom), 2009 Play it Now ! 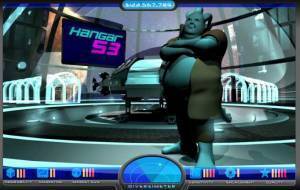 The YENTELS Game is based on the scenario of a young person who decides to start a new DJ business. The objective for the player is to make key critical decisions within the game in order to turn their new DJ business into a success. 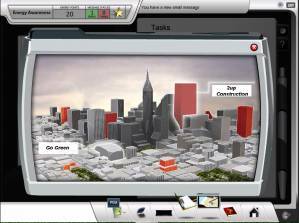 The player goes through various stages/options which are chosen to highlight a range of business related subjects. The game is lasts approximately an hour, but can be paused at any point and returned to. Games can also be replayed depending on what decisions you make within the game. The objective of the game is to educate/teach the player about the various issues associated with being an entrepreneur in a context which is true to life when starting a new business from scratch. The game compliments the YENTELS course and the YENTELS knowledge Base by helping learners to identify areas where they may have a lack of knowledge in a particular subject. Having identified the 'lack of knowledge' subject, they will then have the ability to find the relevant subject material (through the course or the knowledge base) in a traditional e-Learning format. The great thing about the game is that the player will be able to play it repetitively (through-out their learning phase) and test their new found knowledge in the context of the game.